Es gab einige Anfragen nach einer Englisch-Übersetzung unseres LLL-Flugblatts, da Flüchtlinge Interesse an einer Mitfahrt hatten. Statt des ganzen Flugblatts haben wir hier eine kurze zusammenfassende Beschreibung der LLL, die ihr nutzen könnt. 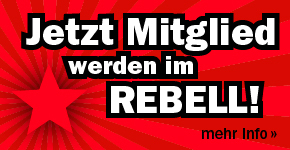 Viel Erfolg, wir sehen uns am Wochenende! 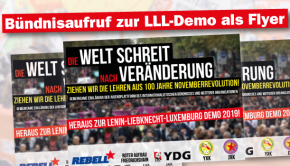 Every start of the year is healded by the Lenin-Liebknecht-Luxemburg-Rally, the biggest manifestation for socialism in Europe! 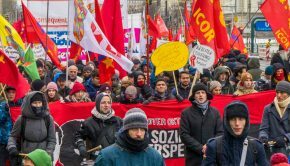 In defiance of every anti-communist hostility – the idea of socialism is not to be stopped! All three were brave and bold fighters against imperialism and for real socialism. Lenin was an important consultant for Liebknecht and Luxemburg for the revolutionary struggle in Germany. The fight against imperialism and for the successful socialistic build-up in the Soviet Union are synonymous with the fight against the causes of fleeing, hunger, imperialistic war and environmental destruction. We Germany we support the build of the “House of Solidarity” with all one’s worth. It’s a refugee accommodation of a different kind in Thuringia. Instead of passivity and forbid of work the refugee shall build-up an autonomy and connect widely with the population. It is part of the ICOR-solidarity pact with the Kurdish struggle for liberation. In this spirit the second Rebellious Music Festival will take place in on Whitsun. 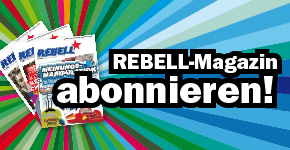 It is on the same holiday site, which houses the House of Solidarity.